You don’t have to wait until Tuesday to start listening to some of the jazzy tracks in LA Noire, as Rockstar has posted some of the tunes over at Soundcloud. Artists include Louis Jordan, Gene Krupa, Billie Holiday, Ella Fitzgerald & Louis Jordan, Lionel Hampton & His Orchestra, Dinah Washington, Claudia Brucken and Andrew Hale. The album, along with the game, will be available for purchase on May 17th. Aaaand taken down. Oh well! Spoiler warning, for obvious reasons. Will say two thing though: damn is this game dripping with style. Second…gosh does your partner talk at you incessantly. RED DEAD REDEMPTION is a videogame developed by Rockstar San Diego and Rockstar North, published by Rockstar Games for the Xbox 360 and PlayStation 3. The Xbox 360 version was played for the purpose of this review. It was directed by JOSH BASS, DAREN BADER and TED CARSTON. Before I begin, there are 3 things you should know. The first one is that I find the GTA games to be a painful experience, consisting of controlling characters I don’t care about, doing stuff I don’t want for people I hate. The second thing is that I’m a big fan of Westerns, which must have been very annoying for my roommates as I discoursed about every single tiny movie influence I could spot in Red Dead Redemption, from John Marston’s duster outfit, straight out of Once Upon a Time in the West, to the plot itself, lifted from The Proposition. The third one is that I really like how most Rockstar games come with an actual map enclosed with the game box. Not only is it a testament for the amount of polish Rockstar adds to its games, but also helps the game be more immersive– as it begins to “embrace” my real life when, for instance, I use that map to plan my next moves instead of eating my dinner. If you’ve played Grand Theft Auto IV before, it’s probably a story with a lot of parts you remember. Unwashed immigrant, off the boat, kills a lot of people for redemption only to figure out that there is no redemption in murder, only more murder. It’s a truly touching story broken up by random drive bys. I like my version better, though: Unwashed immigrant, off the boat, finds a magic cell phone. He uses this phone to get through his missions in the most hilarious of ways possible, usually a rocket launcher, killing a lot of people for redemption in over the top vengeful ways, only to realize there is no redemption in murder, only more death. It’s the same touching story broken up by over the top violence. My friends, there is no other way to play Grand Theft Auto IV other than to cheat. In an effort to court a wider audience with LA Noire, Rockstar will be implementing a type skip-the-action system. 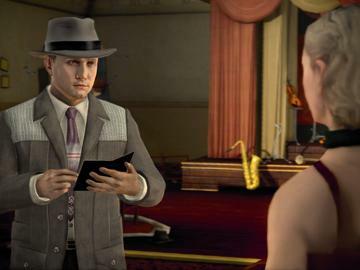 “You can skip those action elements and still experience the bulk of the narrative,” states Rob Nelson, LA Noire’s art director. This is only an option after a player fails a section a couple of times, though. Almost like Nintendo’s “Super Guide,” only this isn’t a game centered around action–and that is a crucial difference. 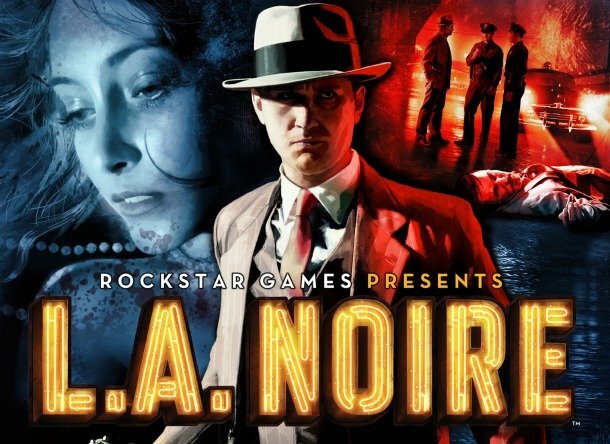 MTV states that “80% of “LA Noire” is an absence of action.” The star here isn’t the shooting bits–it’s the narrative, the investigation itself. “The hour-long case demonstrated at the screening had maybe five minutes of typical action,” states the MTV Multiplayer blog. Thus, the choice to include this feature may tell us that this is just how much faith Rockstar is putting on the narrative of LA Noire. This news has cemented my purchase. As someone who abhors most single player shooting games (“Single player is just me killing algorithms,” as someone on Twitter puts it) being able to skip the parts I don’t care about might mean I actually finish the game! Grand Theft Auto 3 is an odd game for the modern palette. It was one of the first “modern” games, which is a good and bad thing for us going back to play it. On one hand, it’s still phenomenally fun when it gets into the swing of things. When the bullets fly, when the cars drive, it handles beautifully, and everything is fast and furious. On the other, the modern amenities that we now expect, no, demand are not present, which makes the experience an altogether frustrating one. GTA 3 is the halfway point. It’s got one foot in the past, squarely with the two original games, and its other foot is jumping into the future, providing us with 2003’s version of what the future of gaming was. And it gets tantalizingly close, but in the end it fails to really offer a great experience to the modern player. 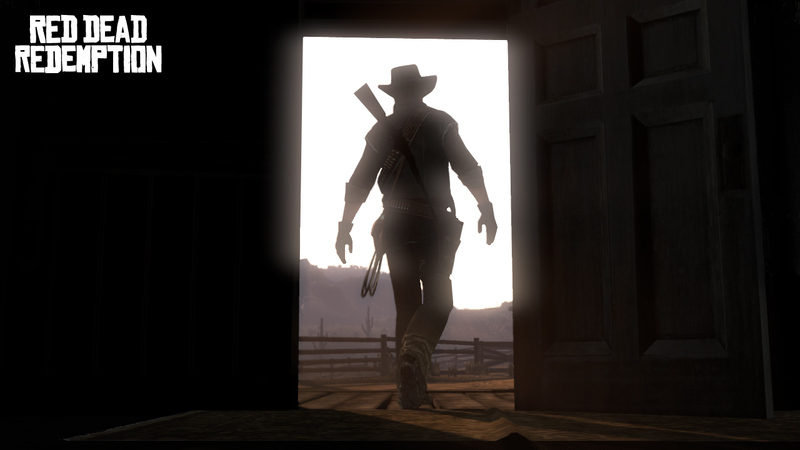 We’re going to post something big and official about Red Dead Redemption in the future. Probably a review of some sort. You know how these places about video games work. However, today’s been a real slow news day (the pre-E3 doldrums), and I’ve decided to post some preliminary thoughts after the jump. Some minor spoilers, obviously, though very little plot related.